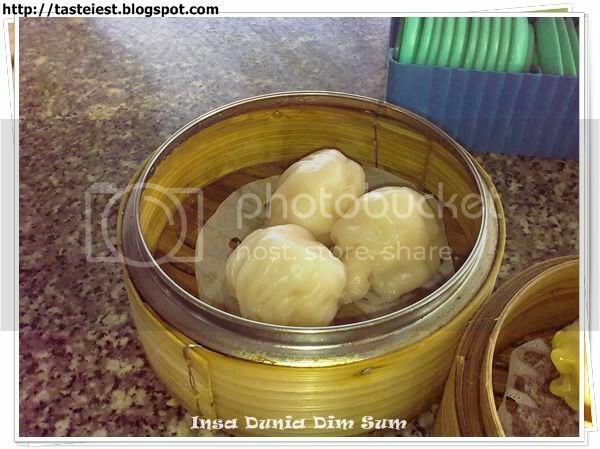 Insa Dunia Dim Sum点心城located at Insa Dunia Food Court that usually very crowded during breakfast, it a very big restaurant that has a lot of table and big parking space in front. Sorry for the poor photo quality as photo taken with my mobile phone only, hope all my beloved readers don’t mind. 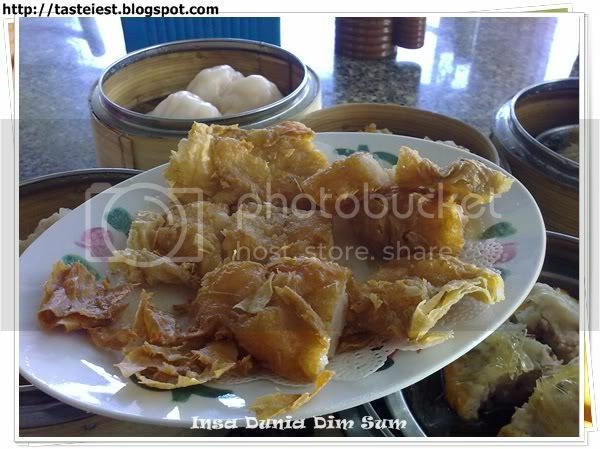 Bah Kut, very disappointed with the first Dim Sum on the table. Bah Kut is very chewy and the only thing can be eat is the sauce. Chee Cheong Fun, as usual this is our favorite and rarely miss out Chee Cheong Fun on our visit to every Dim Sum Restaurant. 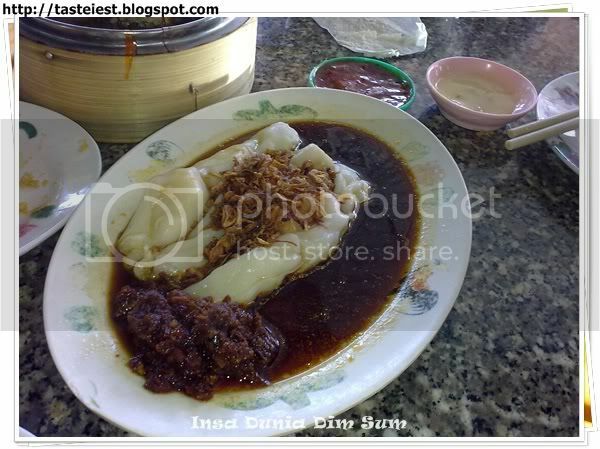 Rice noodle rolling with prawn with the dried shrimp chili paste, the sauce is very salty and the chili paste just normal. 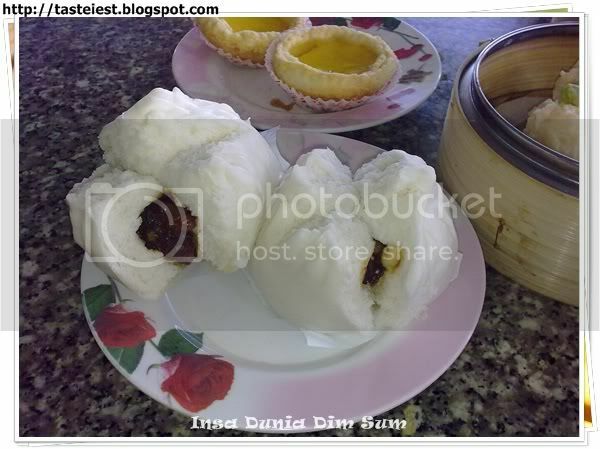 Char Siew Pao, fluffy skin with delicious char siew inside, char siew mix with sesame which add extra flavor to the char siew. 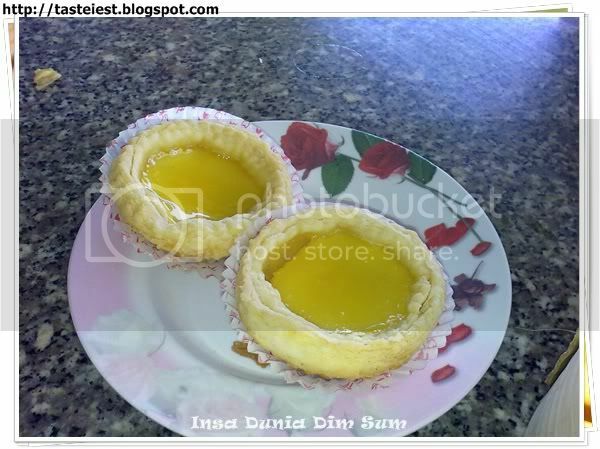 Egg Tart, another disappointed dish where the egg custard is very less and too sweet, crust is not crunchy and hard. Deep Fried Prawn Roll, prawn rolled with tofu skin and deep friend, very oily and taste just normal. 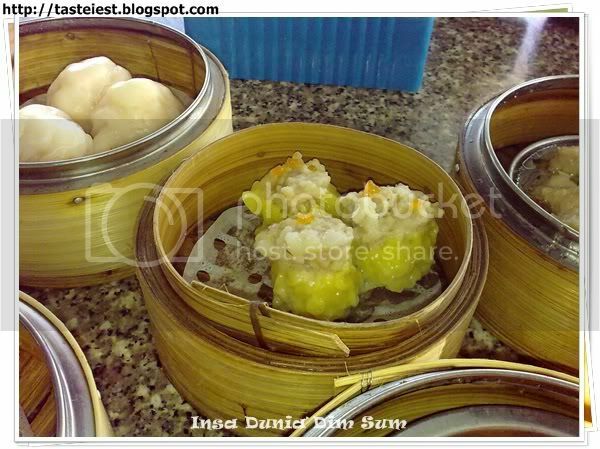 Har Gao, steamed prawn dumpling, skin look very thick but it taste not bad as it was quite soft. 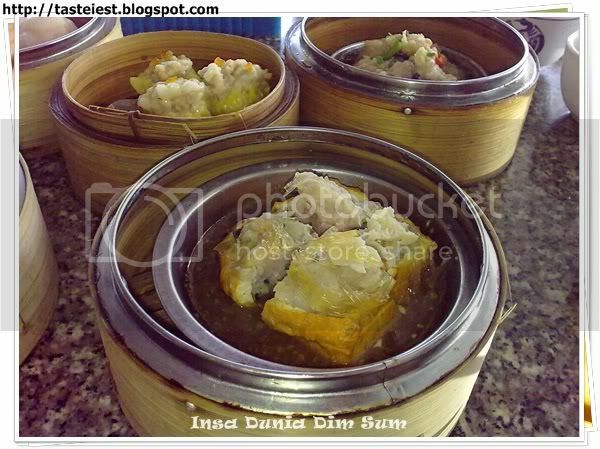 Siew Mai, pork mince and prawn mix together with fish roe on top, first Dim Sum on table that I would say taste not bad as the mixture of pork mince and whole prawn create a nice texture and the taste not bad. 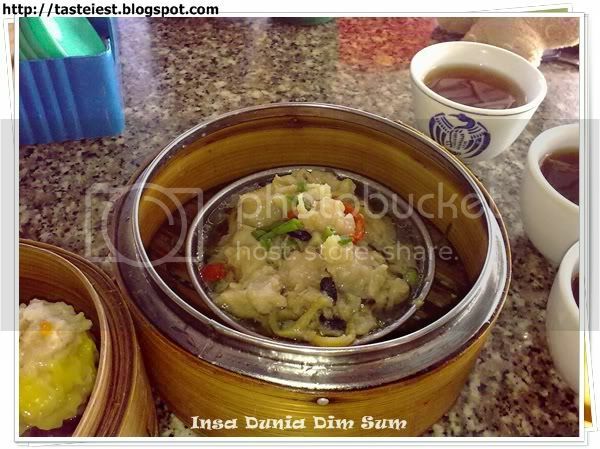 Tofu with Fish Paste, Fish Paste was added on top of the Tofu and artificial Shark Fin as decoration, taste just normal. 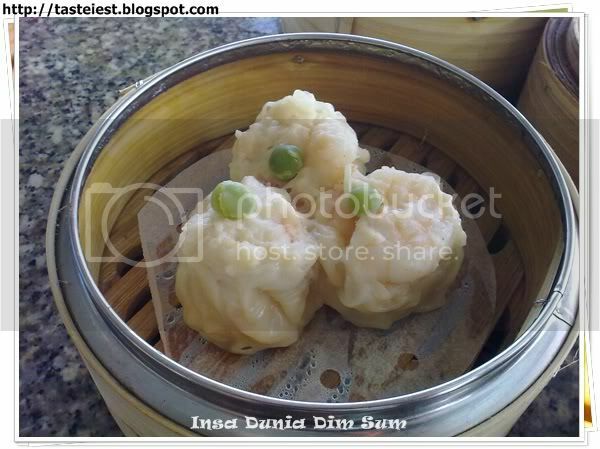 Har Mai, Prawn on top of the Siew Mai, it taste like the siew mai just that additional prawn on top and different skin on side. 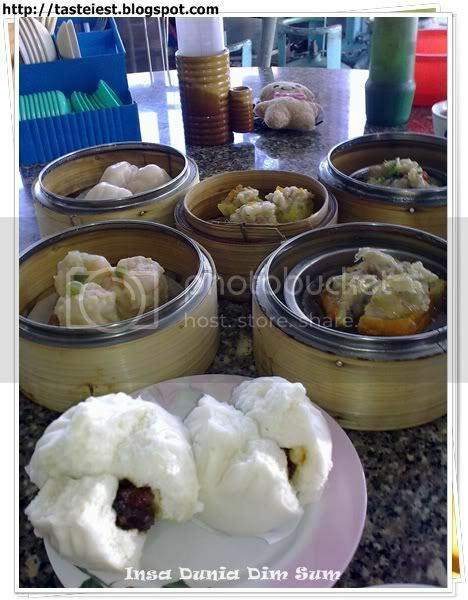 Overall quite disappointed as most of the Dim Sum we ate are not nice.